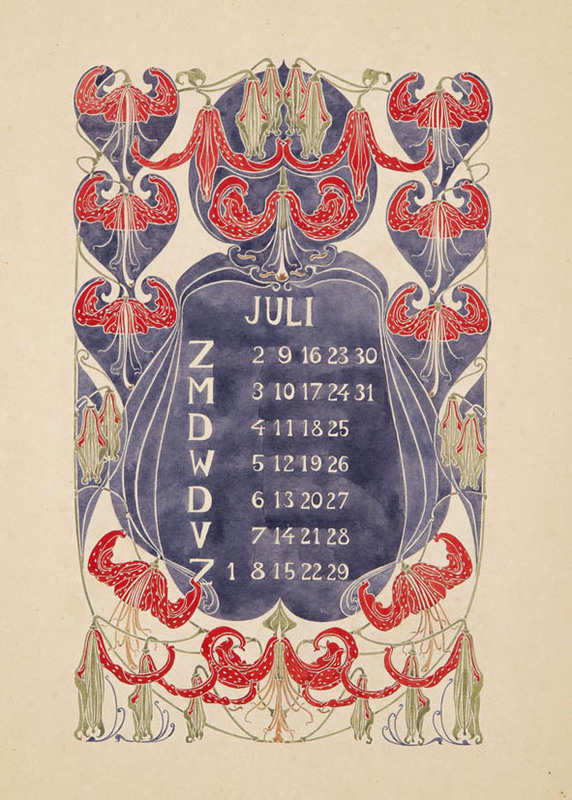 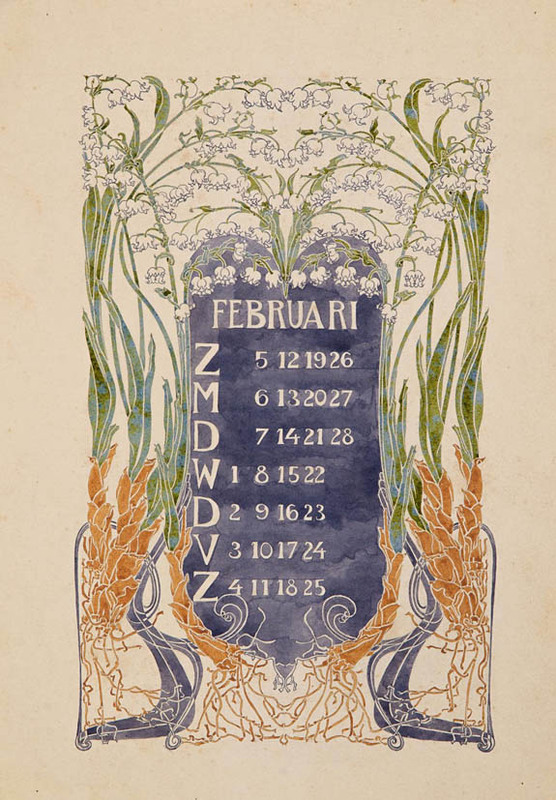 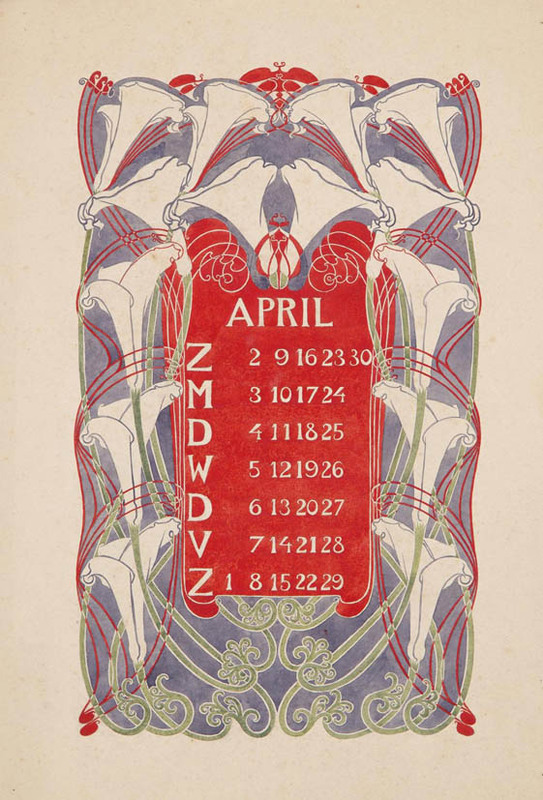 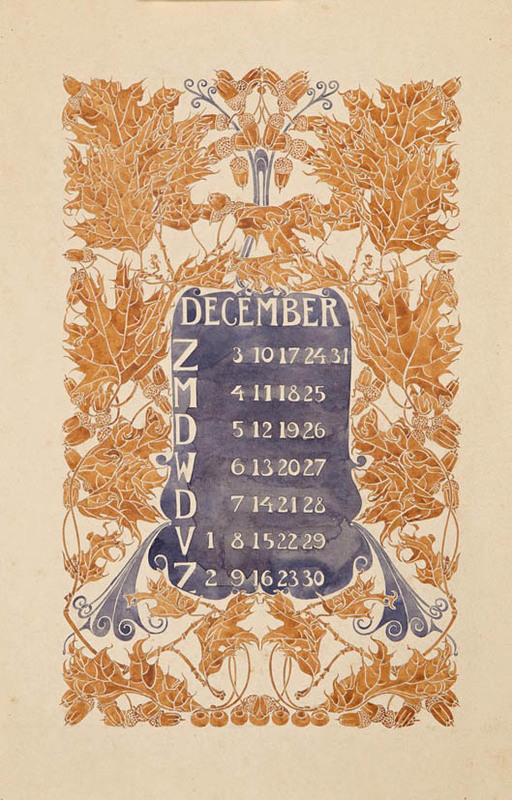 These beautiful calendar pages are designed in 1904 by Anna Sipkema (1877-1933) for publishing house C.A.J. 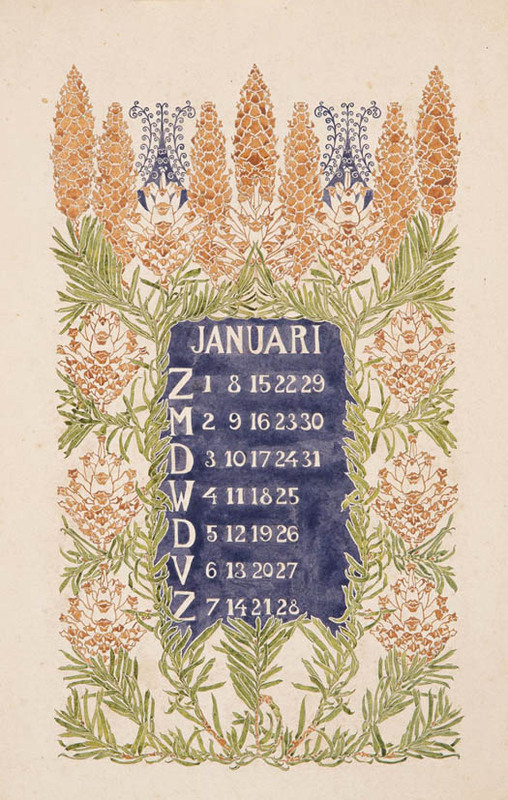 van Dishoeck in Bussum. 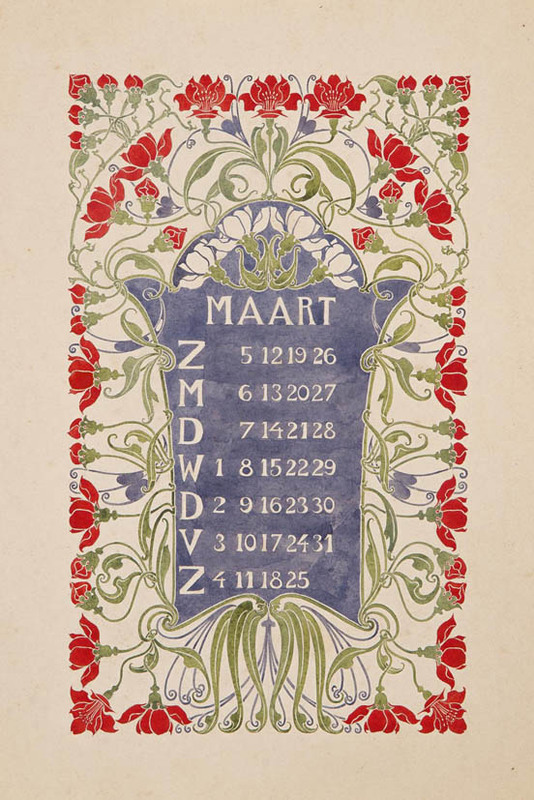 The 6 watercolors are original design drawings for the ‘Bloem en Blad kalender’ (Flower and Leave calender) of 1905.